Lighting Manufacturer Advertising: What is it? Simply put, lighting manufacturer advertising is advertising for lighting manufacturers. Many people confuse advertising and marketing as they often get intertwined since they are so closely related. Broadly put, marketing is a broader umbrella that includes media planning, public relations, sales strategy, market research, understanding the consumer base, preparing a product and/or service for launch/distribution, and so on. Effective marketing involves a lot of time and research in their current and interested consumers. Comparatively, advertising is a subset of marketing drawing in a consumer’s attention through visuals or presentations and promoting the actual product or service itself. This can include billboards, radio announcements, commercials, direct mail, sponsorships, and much more. Both go hand in hand but advertising is the backbone of marketing and is a key component to the marketing process. When deciding what advertising strategy is best for your company, it is good to know who you are as a company and the goals for the company. How do prospective customers currently perceive you? Do they know what services and products you have to offer? What do they know about said services and products? Why should they buy from you? Have your services changed? Do you want your current audience to know the changes? Will this build long lasting customer relationships? Are people interested in what you have to offer? These questions are important to keep in mind when you are ready to advertise. Along with this, it is important to know what advertising strategies and options are out there. A common and well known form of advertising is outdoor advertising. Outdoor advertising is advertising that promotes a businesses’ products and services on platforms that we typically find outdoors. A well-known example is billboards. But exactly how effective is billboard advertising? According to Marketing Tech Blog’s post, if put in the right location with the right message, billboards are 52% more effective compared to other forms of outdoor advertisements like bus stop ads and walls ads. A good location for lighting manufacturer advertising would be at arenas or stadiums near score boards or screen spots. By knowing this and doing more in depth research of whether billboards are effective for your specific company will make the decision easier as to whether you should choose billboard advertisements in your marketing strategy. Radio advertising is exactly what it is. Radio advertising is audio commercial advertising presented through the radio for active radio listeners to hear. Depending on what information you want to include in your ad, the length of a radio advertisement can range from 15-, 30- to 60-second spots. As with any form of advertising, it is best to know your audience. Where do your specific consumers reside? What radio stations aim to their interests? Consider age and gender as well. Once you know this information, it will be easier to choose which station(s) can market your business effectively and to the right audience. In addition, when people think of advertisements, they think of commercial advertising. With recent streaming platforms like Netflix and Hulu taking over the television spotlight, commercial advertisers have to change their creativity to engage with users not watching live television as much as they did 5 years ago. They also have to engage with users using social media apps like Facebook, Twitter, Instagram and Snapchat. Advertisers must be mindful that the user is in control. With muted commercials like the ones on Facebook, captions are being incorporated. If a video does not catch a user’s attention within the first six seconds as they are scrolling down the Facebook timeline, the probability of it being viewed decreases tremendously. Lighting manufacturer advertising can incorporate this challenge by creating a short clip that can be viewed by Facebook viewers. By keeping up with the new, fast paced trends of streaming and social media websites, it is important to understand how you can get your advertisement viewed and engaged with the viewer. If memorable enough, there is a higher chance the viewer will research or purchase your products in the future. Another form of advertising is direct mail. This is when you use a mail service to send promotional information to prospective customers generally in your target audience. The pro of this is you can control who sees what as you hold the power in choosing your mailing list. There are many other pros and cons to be aware of when considering if direct mail advertising is right for you. If you consider these, it will be easier to decide if direct mail advertising should be incorporated in your marketing process. Similarly, email marketing has become extremely popular within the past 10 years in order to better reach your audience on the go. By knowing how many people open or view the emails being sent out, you can see what campaigns are effective or not effective. The con of email marketing is that consumers get a lot of emails every day and people tend to only open what pertains to them due to the inbox inundation. If it is not important or relevant to them, most of the time, your email will never be opened, especially if they see it as spam. This is when it is very important to brainstorm catchy (and non-spammy) subject lines to increase your open rates. Lastly, sponsorships are when people usually in a firm, business, or organization help fund or finance another business or organization. This is a great opportunity for businesses who are not yet well known or looking to increase their brand awareness in a particular market. Lighting manufacturer advertising can connect with bigger, more well-known brands to help start up recognition for the lighting manufacturing business. By connecting with bigger and well-known companies, people will recognize the well-known brand and this will help increase brand awareness for the smaller company. The Rio 2016 Olympics is an example of a sponsorship. In between the games, Rio Olympics announces that they are proud to sponsor companies like Coca Cola, Samsung, and McDonalds. Sponsoring not only makes business connections for you, but it also brings light to the consumer. If they see that a specific brand sponsors, for example, Habitat for Humanity, they will see that brand more positively and in turn will more likely consider and support them by purchasing and/or recommending their products and services in the future. Overall, it is always important to know your target audience. This includes knowing their demographic, geographic, psychographic, and behavioral needs and wants. By knowing this, you can build lasting relationships that will be beneficial to your company in the long run. 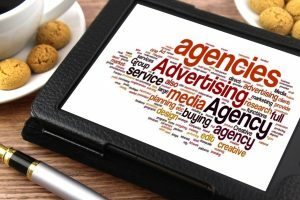 Depending on your company’s goals, knowing the different advertising strategies are important for creating and developing effective campaigns and advertisements.